Over the weekend here in West Central Ohio we had quite the little snow storm. In fact, Starla and I (Sierra) watched three trucks get stuck while trying to pull two cars out of a snow drift on our road. It’s weekends like these that are the perfect time to stay inside by the fire, drink cups of hot tea and make plans for your garden! 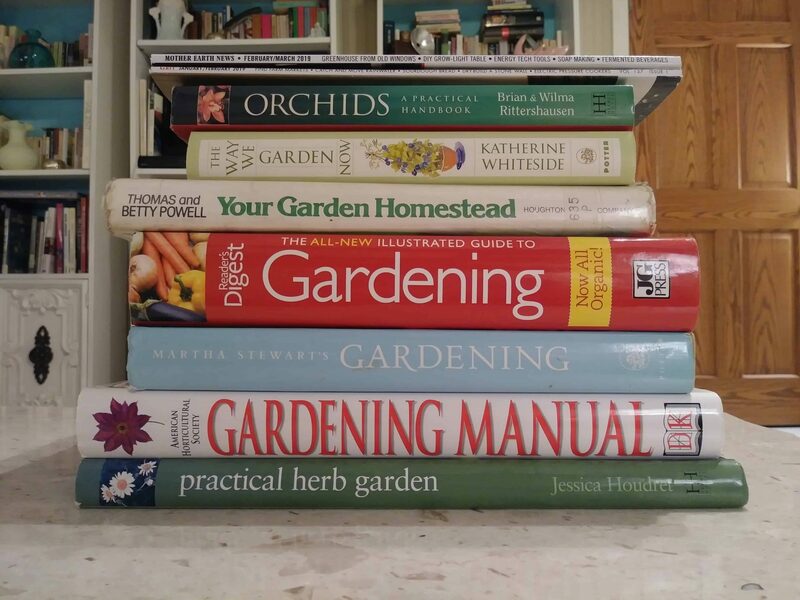 We started by getting lots of gardening books and magazines out of the bookshelves. We just wanted to see what might inspire us. The plan is to extend our garden out at least a few feet on each side, and add a perennial bed to the North side of the greenhouse. We also hope to extend the flower beds around the porch, sidewalk and trees at the front of the house. A little herb patch will hopefully go beside the back door- which has easy access from the kitchen. 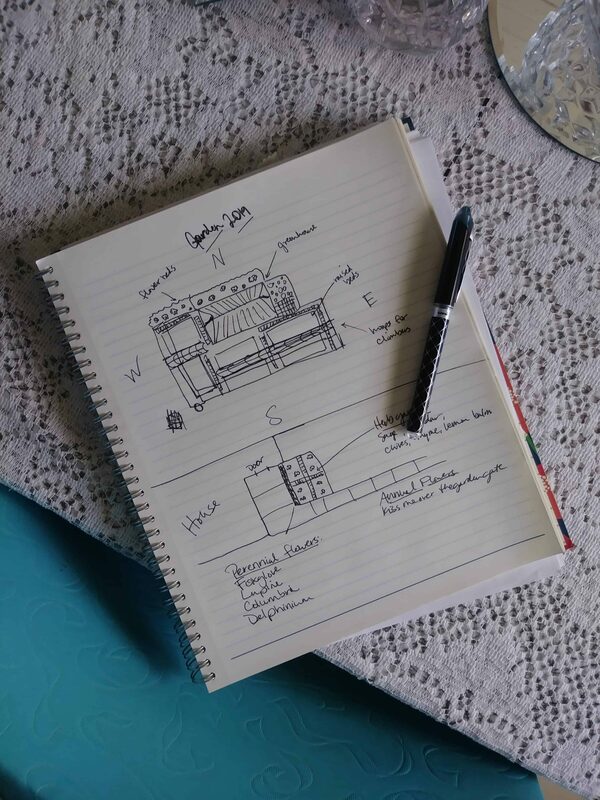 To help visualize, we actually wrote down our ideas and created a rough sketch of what we plan on putting together. For me, having a picture and a list really helps the process feel more real and attainable. Next up we looked up specifically dry shade plants to go with the flower beds in front of the house. This area gets shade most of the day, and the roots of the maple trees ensure that the soil is quite dry. It is important to know where certain plants should be placed. Some like full sun, some like shade, some like wet feet, etc. Right plant, right place! From there we started browsing through a seed catalog to check out some different flower varieties that caught our eyes. We hope to try some foxglove, lupine, columbine, delphinium, and kiss me over the gate for the back perennial bed. Get a feel for what kind of look you want to go for! Think of some of the flower beds of friends or family that have caught your eye. Can you ask what kind of plants they have? Can you ask for starts? Getting starts is a GREAT way to save money, as nursery raised perennials can be quite pricey. At the end of the season last year, I was able to get several perennials marked down to a $1 or $2 at Lowes. I just plunked them into the garden until I am ready to transplant them into the flower beds this spring. These days we have a variety of places to buy seeds. Baker Creek, Seed Savers Exchange, Johnny’s Selected Seeds, and Territorial Seed Company are great options for heirloom and organic varieties of veggies and flowers. If you want to save on shipping, you can even find non-GMO and organic seeds from Burpee Seeds at your local Walmart or Lowes. Finding supplies for the garden on the cheap is totally achievable! Try places like Facebook Marketplace, your local salvage yard, or Habitat for Humanity. If you know someone that has worked in construction and may have extra supplies laying around, you might even be able to salvage some things for free. In our case, our dad has a huge selection of leftover things from construction jobs; bricks, pavers, stone, sand, treated wood, windows, etc. That is how we were able to save so much on building our little greenhouse! 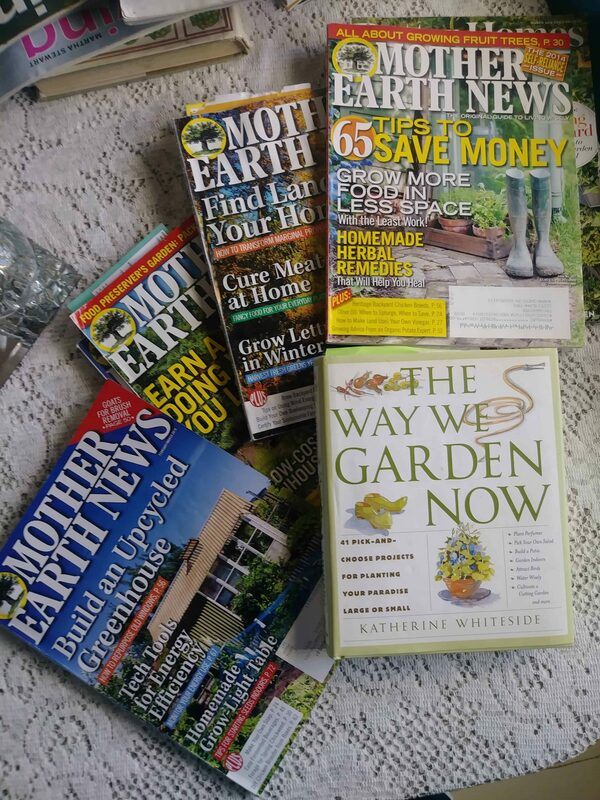 Some of our weekend inspiration included: Roots and Refuge, Elliot Homestead, Gardener’s World, Martha Stewart, Swedish Homestead, Homegrown Happiness, Charles Dowding, Mother Earth News, and The Way We Garden Now by Katherine Whiteside. They are all wonderful resources of information and inspiration! 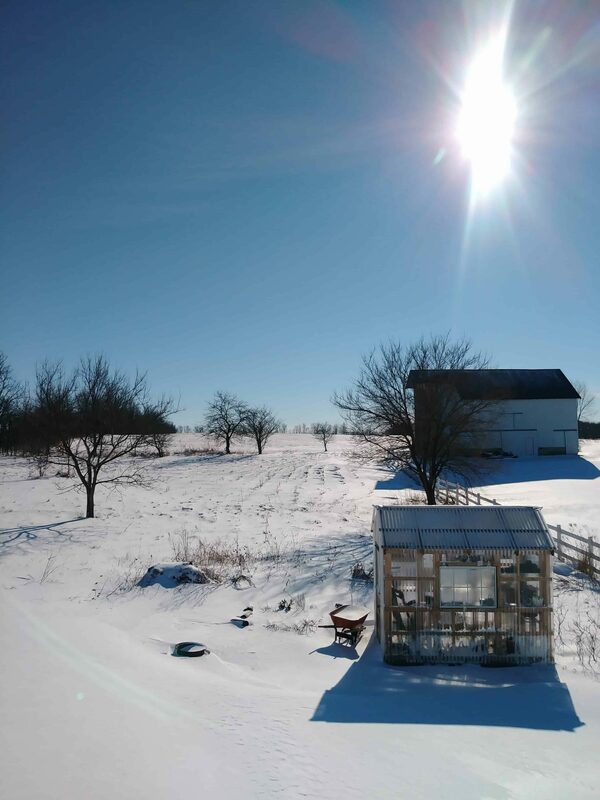 Snow Day Garden Planning: for your inspiration boards on Pinterest! I remember having to deal with snow back when we lived in the northeast. Moving the pots indoors and cleaning them before doing so was something I disliked as we expanded our garden. Thank goodness my hubby moved west for his job and we get sun all year round now, although we do have to deal with the drought every now and then.